Christi Benefits is dedicated to excellence in redefining the employee benefits experience and making a significant difference in our client’s organization and in the lives of their employees. 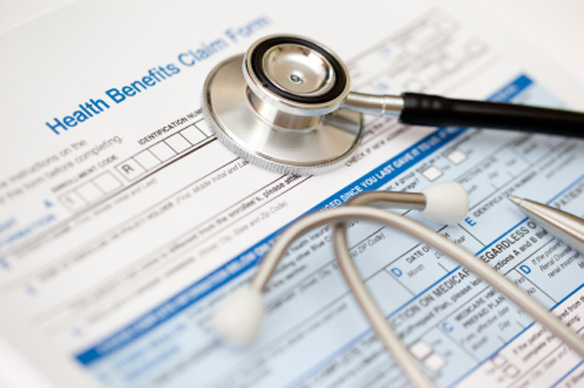 With the ongoing challenge of managing health care costs, and their impact on your business as well as impending Health Care Reform, now more than ever, employers need to align themselves with the right employee benefit services professional. Who is the “right” professional? Every employer must have the right professional who is not only knowledgeable about the many employee benefits plans available and the impact health care reform will have on them, but he must be able to correctly explain it all to you in language you understand. He must also be able to put all of these variables together in a workable solution that makes sense for your company and your employees. While others are still searching to figure out the right questions, Christi Benefits is already developing the solutions. Not only were we able to save the client in excess of $700,000 in annual premium without changing a single copay, but we also greatly enhanced the service platform and value to the client. Through our audit process, they had come to realize that the previous broker had mismanaged many aspects of the current program. This included significant reporting deficiencies, renewal process errors, low employee satisfaction ratings, and zero claim analytics to control costs. On top of all of this, they failed to remove several participants from enrollment who were no longer employed, costing the client over $50,000 per year. We took control of the administrative burdens the client was being consumed with on a daily basis. This included the new hire on-boarding process, the mailing of benefit packages, complete billing reconciliation and consolidation, and the implementation of a state of the art web based Benefits and HR administrative portal, among many other services. We traveled to the client’s multi-state locations to personally meet with their employees. Our personal service included educating this diverse group on the plans offerings, the new advocacy resources available to them, multiple options for completing enrollment, providing detailed information on how to contact us directly, and assisting with unresolved advocacy issues that carried over from the previous administrator. Many companies become complacent with status quo. Complacency can cost organizations money and have a significant impact on your employees. Let the Christi Employee Benefits solutions team work with you to create customized employee benefits plans, not only designed to meet your company’s needs but also help you establish and maintain a successful corporate strategy.